108 Sun Salutations to celebrate Spring! 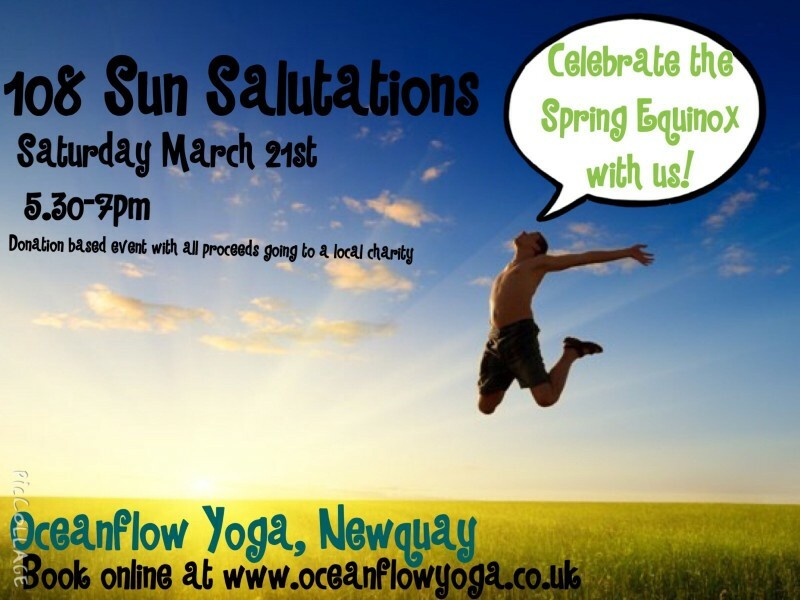 Come and join us to celebrate the Spring Equinox and the change of Seasons! As we teach yoga here with the Seasons in mind, we thought what better way to welcome in the equinox than with 108 Sun Salutations! If you have never done this before, don’t worry you won’t be the only one. This is a mass event where people of all ages and abilities join in and have fun. You don’t need to do all 108, why not join us for a few and see how far you get?